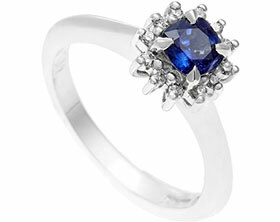 Liam proposed to Laura the day before he and Laura came for their appointment. 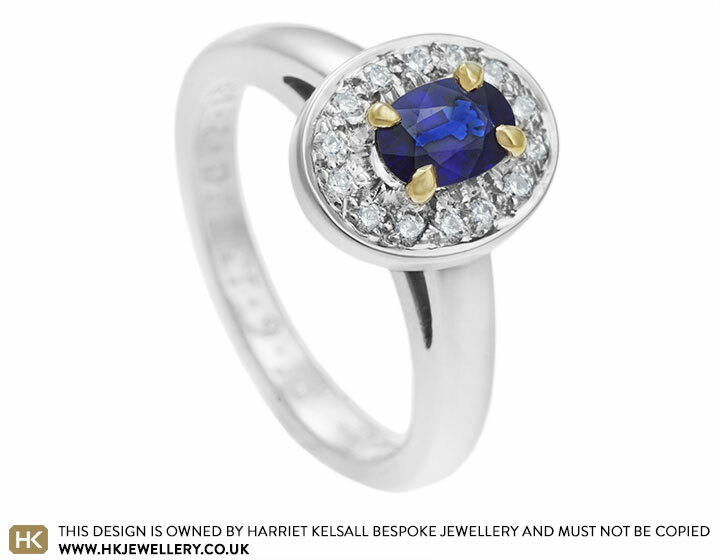 He had planned a wonderful weekend full of surprises so they came in together to design this stunning modern cluster design. 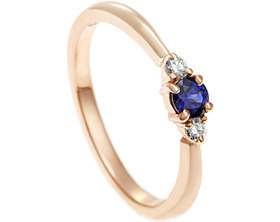 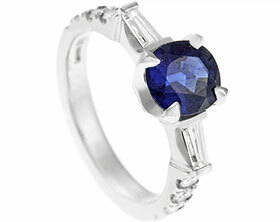 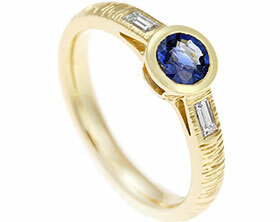 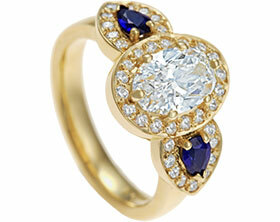 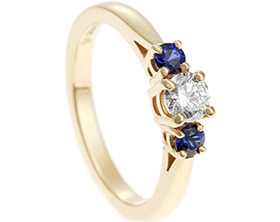 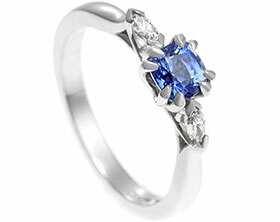 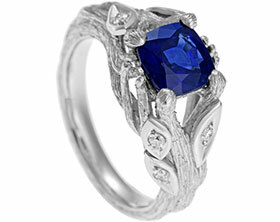 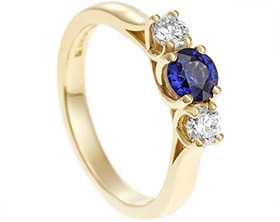 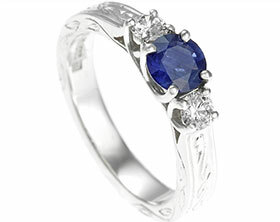 This handmade sapphire and diamond cluster engagement ring comprising beautiful blue oval cut sapphire weighing 0.51ct set with four corner claws in 18K yellow gold to really bring out the sapphires deep blue. 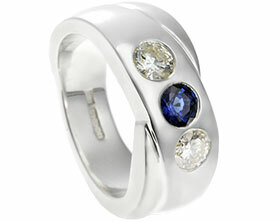 An oval offourteen round brilliant cut dimaonds of G-H VS1-2 quality with a total weight of 0.14ct surround all mounted in palladium matching the band of the engagement ring. 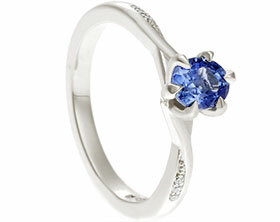 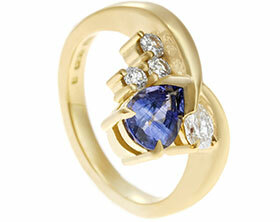 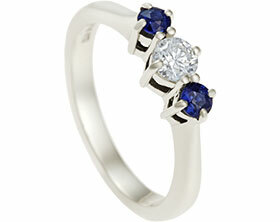 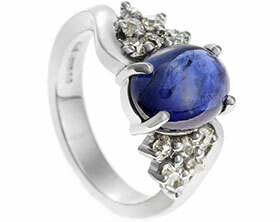 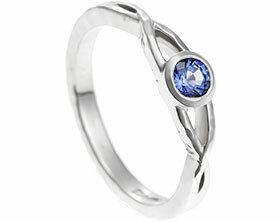 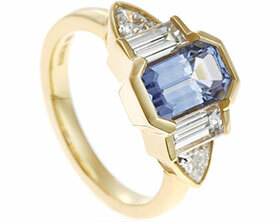 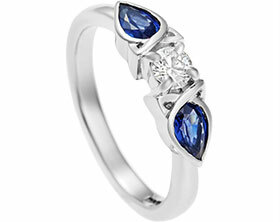 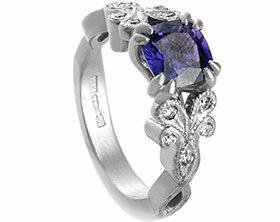 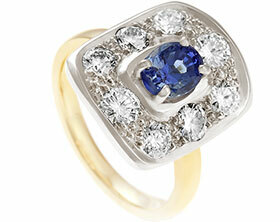 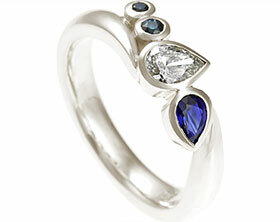 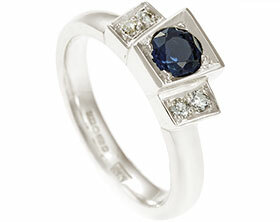 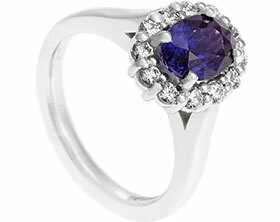 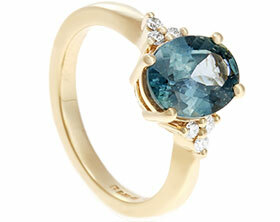 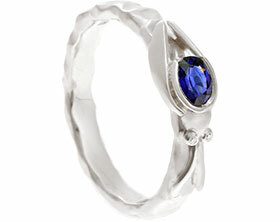 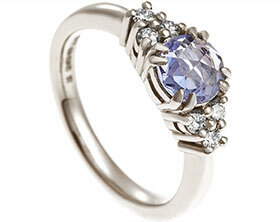 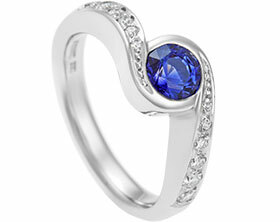 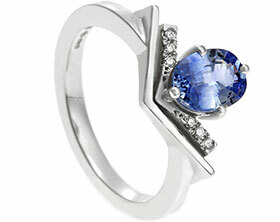 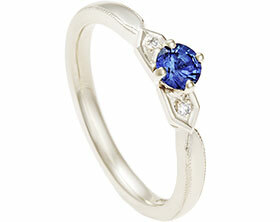 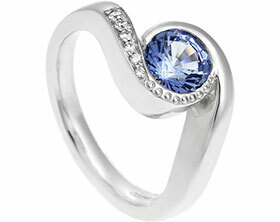 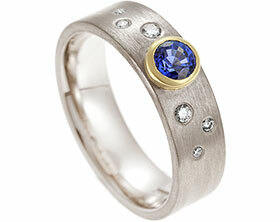 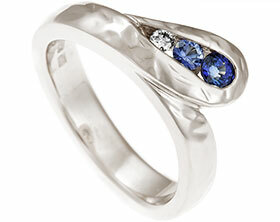 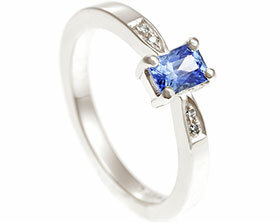 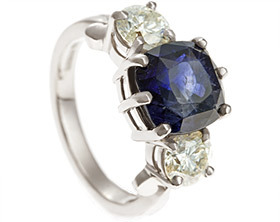 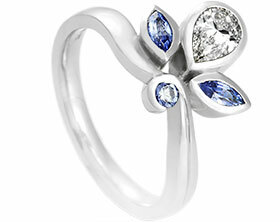 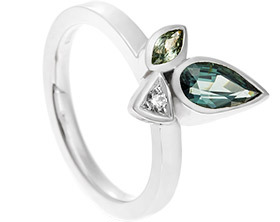 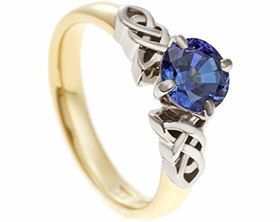 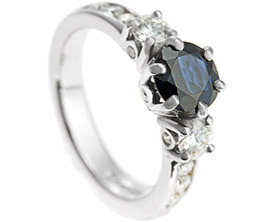 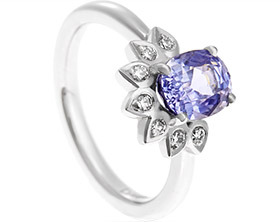 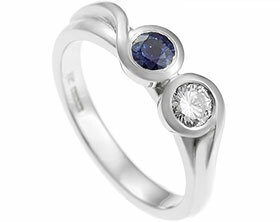 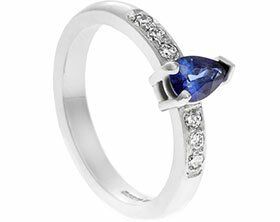 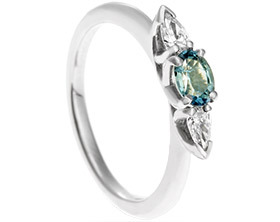 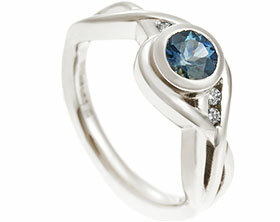 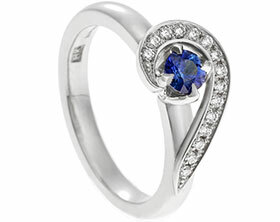 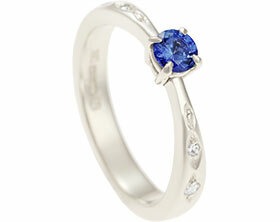 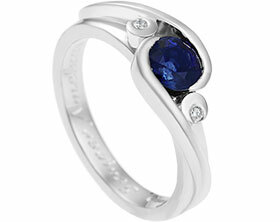 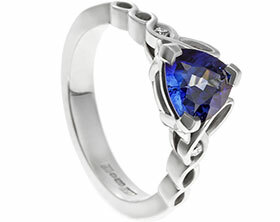 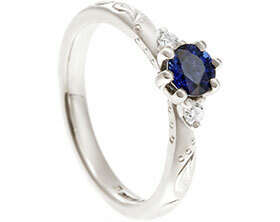 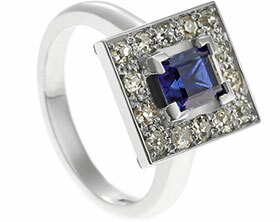 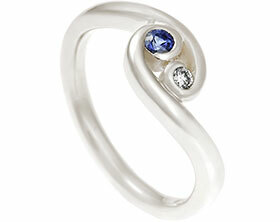 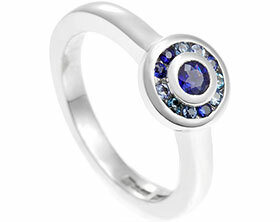 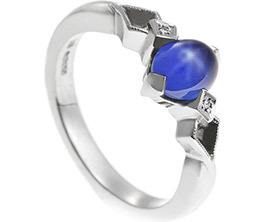 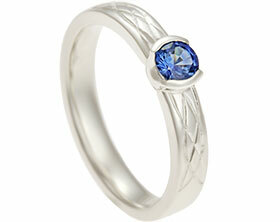 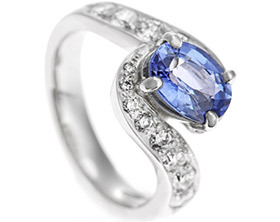 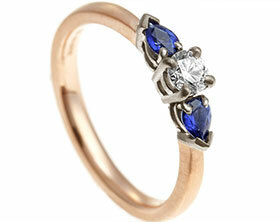 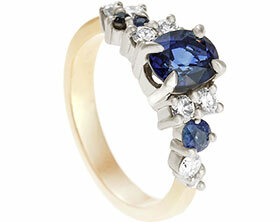 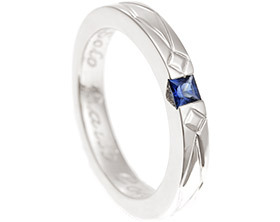 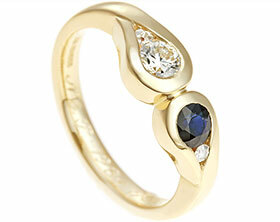 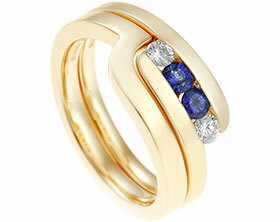 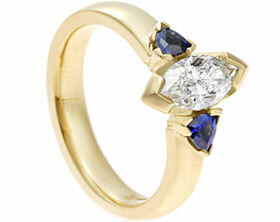 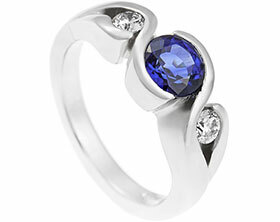 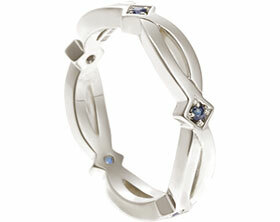 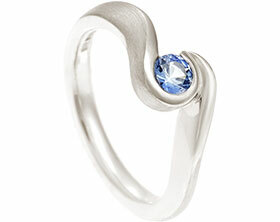 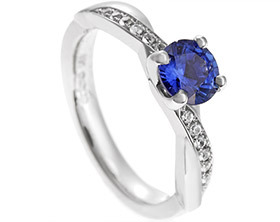 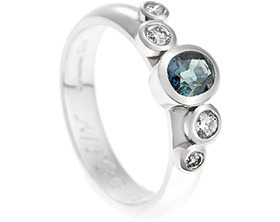 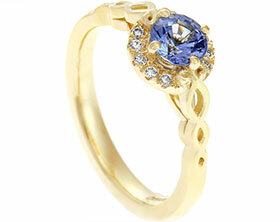 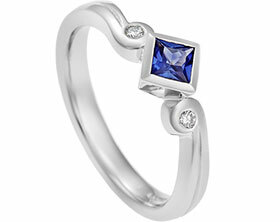 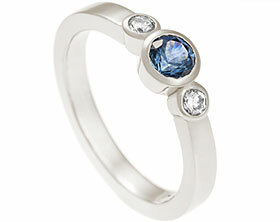 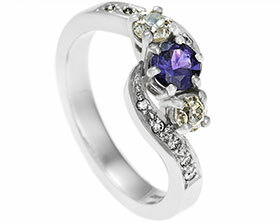 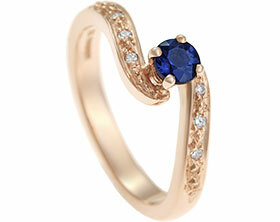 The cut out side view is equally as dramatic as the front and gives a contemporary feel to this amazing ring.